Philippine Business for Social Progress (PBSP) and the Regional Board of Investments (RBOI) — Autonomous Region of Muslim Mindanao (ARMM) recently signed a Memoramdum of Understanding (MOU) to formalize their partnership through BRIDGe Project called “Brokering Business Investments in the Bangsamoro to Achieve Inclusive Development & Growth” at the Manila Liason Office (MLO) of ARMM in Makati City. The project, funded by the Australian Government’s Department of Foreign Affairs and Trade (DFAT), aims to increase mutual confidence between business firms and local communities for increased business investments in the conflict-affected areas of Mindanao. Atty. Ishak V. Mastura, RBOI-ARMM chairperson and managing head lauded the project which is an important move as the province gears up for economic development amid the continuing peace and order situation. “This is an appropriate project in the nick of time. We are ready to go in the process of realizing the project. We still have outstanding security issues regarding peace and stability that needs to be resolved up to now. But there has to be some catalyst and these are the things we are trying to do. There must be a way that business actually benefits the community. Value chains must be created. Business investors must have a sense of belongingness as members of the community. At the same time, you make sure that when you are going into a place, you act as a member of the community and you are here for the people working on the ground,” he said. It is expected that through this project, a three-tiered change shall be more visible among top key players in the region: a more facilitative RBOI-ARMM that is aggressively promoting investments suitable in the Bangsamoro; local communities that are prepared and capable to engage and partner with investors; and more business firms primed to invest in an area known for its distinctive social, cultural and environmental dynamics. “Australia has been a long-standing supporter of the peace process in Mindanao. Since the 1990s, our aid investment in the region supported business, education, government and economic growth. Sustainable livelihood is essential to brokering peace and prosperity in Muslim Mindanao. Through BRIDGe, Australia hopes to support business investments in Bangsamoro areas that will lead to peace, progress and stability,” said Australian Embassy Political Counsellor Richard Rodgers. As project implementor, PBSP’s tasks are to facilitate the creation of a Program Advisory Committee; develop a Technical Assistance Package which shall serve as an information and education module for the promotion of business in ARMM; and set up a Business Sustainability Framework in the Bangsamoro (BSFB) to strengthen RBOI-ARMM’s investment facilitation. “We at PBSP are very excited to manage this project. This is really symbolic in what we are trying to achieve such as to bridge investments in ARMM to make it more inclusive and make sure goals and development happen, and at the same time get the different stakeholdres in the area to work together. 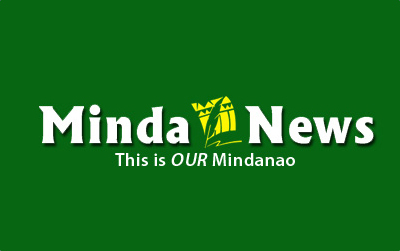 We hope to capitalize on each other’s strengths and capabilities,” said PBSP Executive Director Reynaldo Antonio D. Laguda.